Western Michigan University Thomas M. Cooley Law School is a private, non-profit, 501(c)(3) Michigan educational corporation and is accredited by the American Bar Association (ABA) and the Higher Learning Commission (HLC). The Law School was founded in 1972 by a group of lawyers and judges led by the then Chief Justice of the Michigan Supreme Court, Thomas E. Brennan. 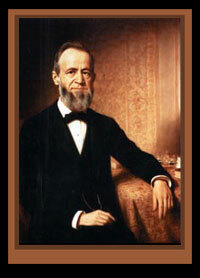 The school was named for Thomas McIntyre Cooley, a legal scholar and one of the greatest jurists of the 19th century. WMU-Cooley teaches students the knowledge, skills, and ethics needed to be a success in the law and a valuable member of society. The School has developed a legal education curriculum and program designed to prepare its students for the practice of law through experienced-based teaching of lawyer skills. Students learn to apply legal theory to situations they may encounter as practicing attorneys. As part of the Shool’s Professionalism Plan, students are also taught the professionalism principles adopted by the Law School community. WMU-Cooley is committed to providing a legal education to people from all walks of life. The School is proud of its diverse national and international student body where students, through fair and objective admission policies, have the opportunity to learn the law. WMU-Cooley is one of the largest law schools in the nation. It offers a Juris Doctor (J.D.) program; a series of joint degree programs with Western Michigan University and with partner schools Eastern Michigan University, Davenport University and Olivet College; and Master of Laws (LL.M.) programs. Classes are offered across Michigan in Lansing, Auburn Hills, and Grand Rapids, Michigan and in Tampa Bay, Florida. The School also has an outstanding foreign study program in which students can focus on important international law topics in locations around the world. WMU-Cooley has more than 18,000 graduates across the nation and worldwide and offers enrollment three times a year: in January, May, and September. An independent, private, non-profit educational institution affiliated with Western Michigan University, the Law School is solely responsible for its academic program.